Get a complete cardio workout in the comfort of your own home with an upright magnetic stationary exercise bike from Goplus. 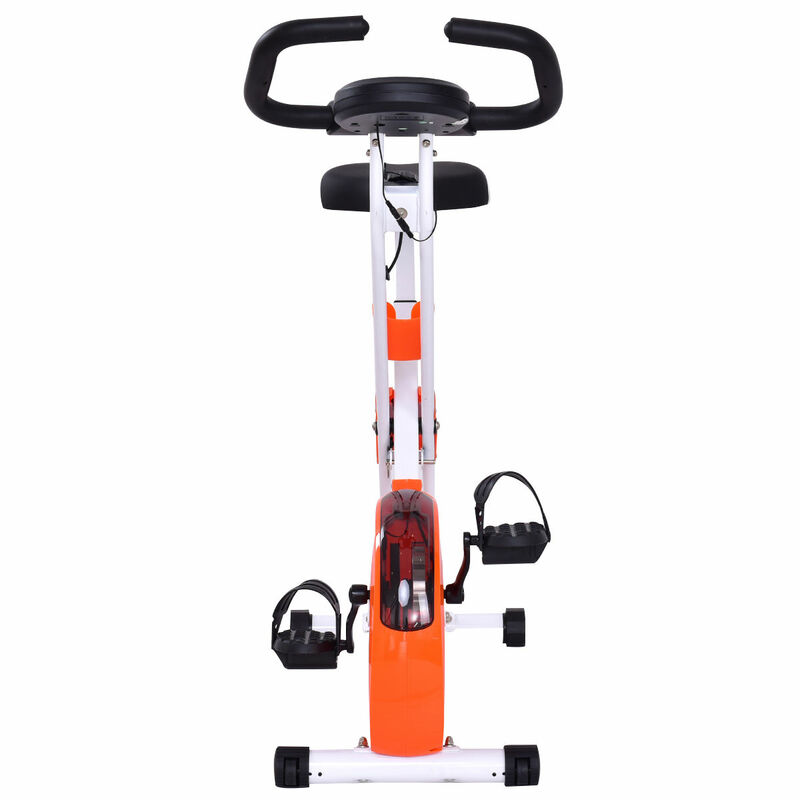 The Goplus Upright Magnetic Stationary Exercise Bike with LCD Monitor allows you to maintain a regular workout routine while building body strength, improving blood circulation and burning fat calories The seat can be adjusted 7 different heights for varying body sizes and types. Monitor your progress with a display screen that calculates time, speed, distance, pulse and calories burned. Easily adjust the resistance 8 levels to your preference by simply turning a rotary knob in the middle of the machine. The compact and portable design has a total weight of only 32 pounds while supporting a 264 pounds. Best of all, its ultra-smooth and quiet operation.